… And increasing the level of Marketplace participation at the same time. EDITORIAL NOTE: This post is by Maverick Chow, a long standing member of the Streamr community and follows on from a robust discussion on Telegram on 24 Jan.
TL;DR: Convert DATA tokens into a security token. Trade data with ETH instead. Most new ventures don’t tend to survive past the first year. 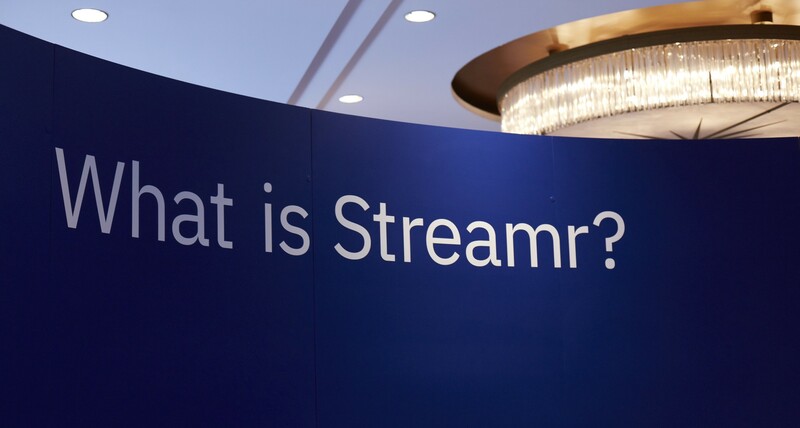 So it’s to its great credit that Streamr is one of the few companies in the crypto space that has proven itself to be a very legitimate venture worthy of reaching greater heights. But, and I write this with affection and as a fairly long standing member of the community, that doesn’t mean there isn’t room for improvement. I’d like to make a suggestion for the Streamr community to consider that I think will enhance the value of DATA, as well as increase the level of participation on the Marketplace. Using the token to facilitate any significant volume of data trading requires that DATA be highly liquid in secondary markets otherwise trading on the Marketplace will be stunted and serious data traders will refuse to enter the Streamr Marketplace if they do not see how to trade out earnings in DATA. Using the token to facilitate data trading also indirectly competes with ETH. This is a very significant point. Generally, a person may be more inclined to earn ETH than to earn a third party token that comes with a myriad of risks, e.g. paltry liquidity, very minimal use case beyond its dApp, uncertainty surrounding the team’s future, uncertainty revolving around the project’s development. And that’s not to mention an added layer of hassle to swap out for other coins/tokens leading to user experience friction and lower participation. (No offense to the team or the project, but I’m trying here to express all the possible general perspectives from a third party perspective). Technically, no dApp requires its own distinct token to run just as no software program needs a special token to install and run. In a world of tokenized assets and securities (i.e. fractional ownership), tokens may be needed only for accounting purposes on who (John) owns what (shares of ABC Inc.) on what date (January 18, 2020) for what amount (USD 10,000). Many ICO projects introduce their own tokens primarily only for the purpose to have their own separate (albeit independent) economic circle for control and financial self-enrichment, which unknowingly to them only lead to restrictions and hurdles for mass adoption and growth of such ICO projects within a superset network that is Ethereum. The restrictions and hurdles come from having to build an unnecessary technical layer of functionality (and the complexities that come with it) whereby the token is made to have a use case in order to justify having it in the first place, despite the fact that it was initially created for attracting fundraising. The same can be said with having the same separate economic circle in other networks like Bitcoin, EOS, or NEO. Maintaining one’s very own blockchain network (be it public or private) just to run a dApp or out of financial self-interest would be even worse and unsustainable and this will play out in the future. Provide a selfless service, and you will have everyone on your side. Provide a selfish disservice and you will have everyone opposing and competing against you. Many projects chose the latter option when they decide to launch an ICO or even a new blockchain with claims of better tech than Ethereum only to turn out to be a for-profit private organization. The future is not a matter of “I am better than you and so I deserve all the money and be the king of the world” in which there will be opposition, but rather, “let’s work together to build a better future for everyone” in which there will be support and assistance. Using the token to facilitate data trading means someone has to shoulder the responsibility of elevating token trading volumes and to consistently maintain such elevated levels in order to create the needed pool of liquidity in secondary markets (i.e. exchanges) for high value and high volume transactions to occur on the Marketplace. That’s a very tall order, which will require dedicated market makers. Attracting market makers to Streamr on secondary markets will likely take a financial commitment from the community or core team. And if no one is willing to take up such responsibility, then how can the Marketplace thrive? Disclaimer: This is not to claim that there is only one solution or that the solution given here is the best one on offer. Rather, I’m putting it up here for consideration by the wider community. All data trading denominated in ETH will massively increase the liquidity on Streamr’s Marketplace. (At the time of writing Ethereum’s daily trading volumes was $2.28 billion whilst Streamr’s was $412,000, a more than 5500-fold difference). The general appeal of earning ETH over a third party token with very limited scope is significantly higher, just as it would be more appealing to earn USD over a “gift card” or loyalty points. And such an appeal will attract higher adoption and participation over time. User experience is enhanced as Marketplace participants no longer need to exchange DATA with any other coins/tokens (for paying tax, spending, etc). They can have the convenience that comes with using ETH directly. A combination of having higher Marketplace liquidity, the appeal of earning ETH from trading data (an alternative to being a coveted PoS stakeholder), and a more streamlined process that will attract higher participation. And when fees are introduced, that will results in a solid income stream for the project. Finally, converting DATA token into the company’s securities will allow the now-converted securities holders to have a share of ETH earned as a source of income. Converting the token into a security is also in line with the direction and intent of regulators to classify tokens as securities, and as such, I believe it is a matter of time before such classification becomes a compliance requirement. Taking a lead in this direction may lend further legitimacy to Streamr and its project and make DATA a serious institutional investor proposition. Changing the trade denomination from DATA to ETH and converting DATA token into securities may involve some programming overhaul and legal work but I believe all the effort spent on these will be worth it in the future. Another ICO project by the name of Power Ledger is also taking similar approach by converting its POWR token into a security. This may be a trend as more legitimate ICOs monetize their projects through such an approach. As a security, DATA would be investible and open up further to investment potential and public scrutiny, which if done correctly, will lead to greater opportunities. However that does not mean all ICO projects should take such path of securitization. Only legitimate projects with huge commercial value should.